13 | October | 2013 | Andrea Works . . .
Today marks just 5 days before I am scheduled to venture up into the scrubby hills between Flagstaff and the Grand Canyon for an inaugural 100 mile race. Problem is, my body isn’t excited about this prospect, AND there is a much closer, locally-organized shorter event the same weekend. So, as is usual for me, I am torn. Normally my course of action is to wait until a decision foments on its own, but that is not how I’d like to BE as a participant in this life. 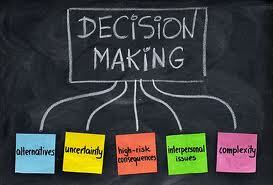 Deciding is not a bad thing, not a scary thing, not to be avoided at all costs. So, to make this be an effective behavioral change, I think I should set a hard deadline for the choice (24 or 48 hours from now), and make the choice and deal with it. Lovingly, without regret or self-recrimination, or even too many “but, if….”s in the mix. Self-assuredness is a quality I could use a bazillion percentage points more of. Here’s my pledge to make that happen, little by little, with care and compassion for my own flip-floppy mental state.